The Honeywell L-Tron 4910LR-152-LTRK is a TRACS compatible microphone 2D Imaging scanner that reads driver's license barcodes and captures images and signatures. Ideal for e-citation applications, accident/incident reporting and electronic ticketing applications. The 4910LR-152-LTRK kit contains all you need to install and connect the compact, radio microphone-style scanner to the USB Port of the vehicle's computer, including drivers for Microsoft Windows 7, 8.x and 10 which map the USB connection to a virtual COM Port. The 4910LR is a replacement for the popular 4710LR and 4810LR series imaging scanners. 4910LR-152-LTRK is a minor revision of part number 4910LR-151-LTRK. Form and function of the two are identical. •Image capture, signature capture, and omnidirectional reading of linear, AAMVA PDF-417, MicroPDF417 and most 2D barcode symbologies. •Features highly visible green LED aimer and red LED backlight. •Class-leading image quality and image transfer speed provide crisp images in less than one second. 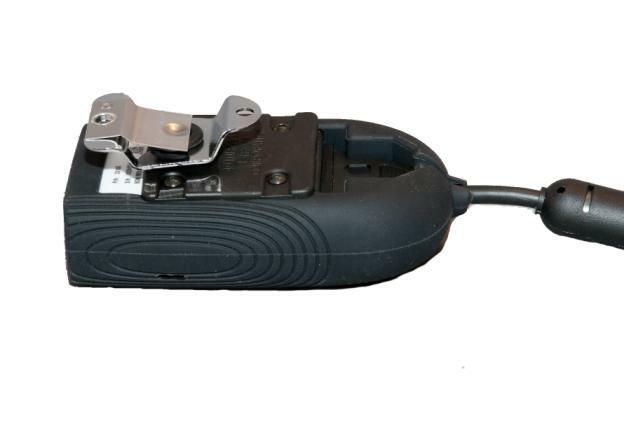 •Built to last in a compact, durable form factor with sealed membrane switch, hard pinned cable connection and no moving parts. •Custom imaging firmware compatible with TraCS 7.x and 10.x. Compatible with other e-citation and accident reporting packages via COM port emulation, keyboard emulation or HID communication mode. •Safe and secure mounting with spring-retained microphone mounting clip and hanger. Q: What would we use the image capture feature for? A: The L-Tron 4910LR Next Gen Area-Imaging Scanner can capture basic grayscale images if this functionality is supported by your software application. The software has to send a command to the scanner to capture an image instead of decoding a barcode. It's frequently used to capture motorist acknowledgement signatures from paper forms in states where signatures are required. It can also be used to attach photos that enhance reports, such as a driver’s license in a frame with speed detection device results, a sketch on paper of an accident scene, a photo of the cited driver, or anything else that may be useful to an officer when the report is viewed later. It will not replace a crime scene camera, but can be useful in a number of other ways inside the squad vehicle. Q: Our DMV uses multiple bar codes Would this be able to read all types? A: The scanner can read almost any barcode in the public domain, including PDF417 which is a stacked linear barcode that stores all the data on your license and registration and code 128 barcodes which are sometimes used to store only the DL number. Please consult your software provider regarding barcode data input from DMV documents including DL and vehicle registration barcodes. Q: My department is still using the green scanner, how is the 4910LR different? A: The "green scanner" was L-Tron's first generation of DL reader for law enforcement (model 4710LR). It was available between 2004-2008. The fact that these are still functional is pretty amazing, but the technology is well out of date. L-Tron’s 4910LR Next Gen Area-Imaging Scanner has a native USB interface versus a serial to USB adapter on the 4710; the microphone mounting system is improved; the ergonomics are better; the backlight and aiming systems are better, and the scanning performance of the 4910 will amaze you if you're used to using the 4710. Q: Is this the newest version? A: Yes, the 4910LR-151-LTRK is the newest and most current device. 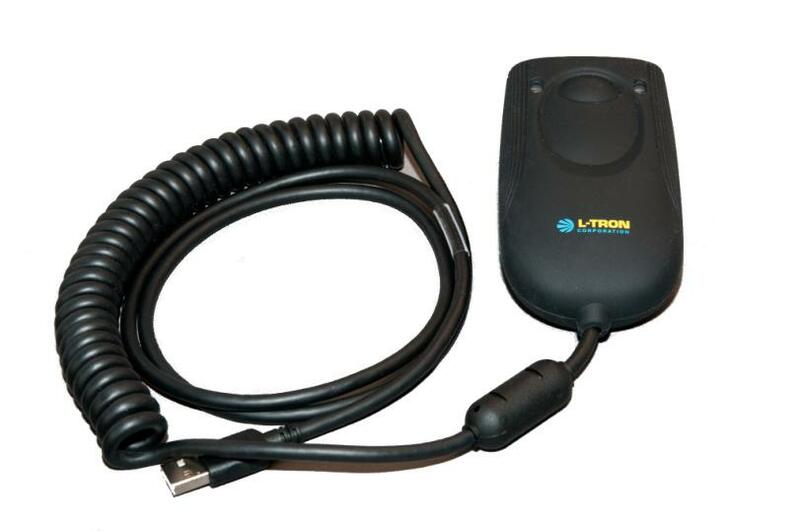 The L-Tron 4910LR Next Gen Area-Imaging Scanner is the third generation of L-Tron driver's license reader designed for use in patrol vehicles. It was preceded by the 4810LR and 4710LR. Q: How well does the L-Tron 4910LR Next Gen Area Imaging scanner work in the sunlight and in the dark? A: Exceptionally well. The red LED backlights provide plenty of illumination for low light conditions while minimizing negative effects on night vision. It also performs flawlessly even in direct sunlight. We have departments using the 4910s on motorcycle units in desert sunlight. Q: How do I use the 4910 to capture pictures? A: L-Tron’s 4910LR Next Gen Area Imaging Scanner requires serial commands to capture and return images. This functionality must be written into your mobile reporting application. You can demonstrate and test image capture with utilities like EZConfig but that probably won't be sufficient for daily use. L-Tron is happy to talk to your software vendor about image capture. Please contact our technical support team for additional information at support@L-Tron.com or 800-830-9523.